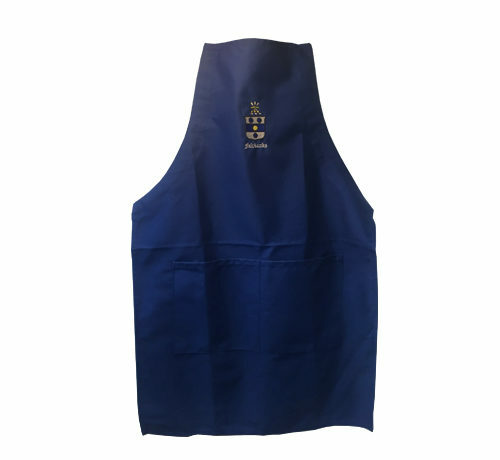 Royal blue full apron with embroidered Fairbanks Crest. 100% cotton. One size fits all.